Since the creation of Internet, young entrepreneurs have found different ways to make a fortune and earn money online. With this in mind, Andrew Michael has paved the avenues for others, who can follow his footsteps and make business for themselves. Simply put, Andrew not only makes money online for himself, but helps others to earn a living too. Some of his major contributions are Fasthosts, Bark.com and Livedrive, through which he has managed to make a name for himself in the industry of online business. During his school days, young Andrew worked as a sales person for Carfinder. This was a reputed magazine in South West, which included vehicle advertisements in the area. Prospective buyers could see these advertisements and contact the sellers they were interested in. Andrew sold these magazines on a part-time basis to small business owners and direct customers. In 1999, Andrew started Fasthosts as part of a school project at A-level. Later, it became a limited company in 2000, specializing in providing different kinds of online services to small businesses. In 2002, it became the 2nd fastest growing tech companies in the UK. In the year 2005, it made a £20 million turnover, and made a profit of £5 million. In 2006, Andrew later sold Fasthosts to United Internet, with a 75% stake that gave him £46 million. 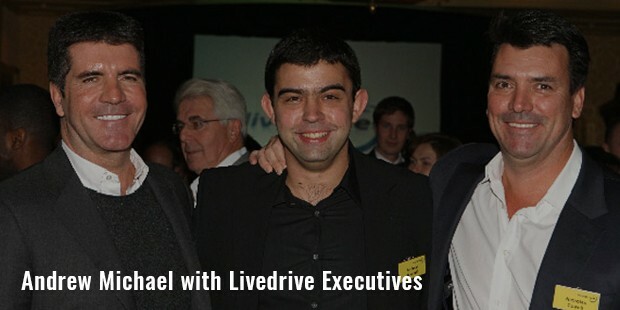 Andrew continued as the CEO till 2009, after which he left the company to establish LiveDrive. LiveDrive is an Internet based sync storage and cloud backup service, which enables users to view and access their data through mobile devices. Soon, Andrew signed a distribution agreement through which LiveDrive made its way into the US market. In 2014, j2 Global purchased LiveDrive and Andrew moved on to find Bark.com. Bark is an Internet based market which Andrew founded along with Kai Feller. As of now, the site has more than 20 million users across the globe. The primary aim of Bark is to match customers with appropriate service providers in their local area. Launched in 2014, Bark purchased SkillPages in 2015, and all the Bark users were transferred to it as part of the deal. 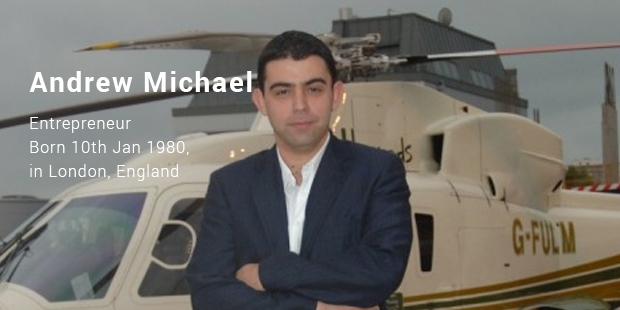 With his inventions and attempts, Andrew Michael has helped many customers and businesses find each other, keep their data secure online, and have accessibility to the high quality Internet that everyone longs for. He has also put his money to good use by investing in some early stage technical businesses, including AM Share Trust in 2007. With so much wealth he has accumulated, one will definitely hear his name frequently in the industry, at least as an investor. But he is a skilled entrepreneur and innovator, and with such technical knowledge, he will surely contribute towards better online platforms in future.